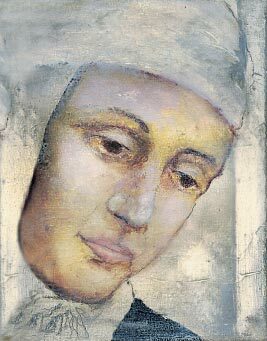 What is the Catholic Church's view of Anne Catherine Emmerich - can her visions and prophecies be trusted? Is she a true prophet by the biblical standard? Please see the link below. In a nutshell, at present the Church distinguishes between the writings attributed to her (which the Church acknowledges may have been done by someone else who then put Emerich's name to those writings) and Emerich herself, her life being one of extraordinary virtue (hence her beatification as a blessed). At any rate, the Church holds that private revelations, such as those that have been attributed to Emerich, are never binding on Catholics and do not add to the Deposit of Faith in Scripture. Benedict XIV (Heroic Virtue, III,144,150) says: "The recipients of prophecy may be angels, devils, men, women, children, heathens, or gentiles; nor is it necessary that a man should be gifted with any particular disposition in order to receive the light of prophecy provided his intellect and senses be adapted for making manifest the things which God reveals to him. Though moral goodness is most profitable to a prophet, yet it is not necessary in order to obtain the gift of prophecy." (Devine, Arthur. Transcribed by Marie Jutras. Prophecy. The Catholic Encyclopedia, Volume XII. Published 1911. New York: Robert Appleton Company. Nihil Obstat, June 1, 1911. Remy Lafort, S.T.D., Censor. Imprimatur. +John Cardinal Farley, Archbishop of New York). One does not tell/advise God who he should choose to talk to/reveal visions to. Examples from scripture: Balaam, Pharaoh, Babylonian Kings, etc. 22 when a prophet speaks in the name of the Lord, if the word does not come to pass or come true, that is a word which the Lord has not spoken; the prophet has spoken it presumptuously, you need not be afraid of him. cf. Catechism of the Catholic Church 66 & 67: Since the advent of Christ, God has spoke definitively through His Son, and therefore after the death of the last Apostle, there is no new public Divine Revelation to be expected for our salvation. On 'private revelation:'. Anna Katharina Emmerick served salvation in both ways. Her words, which have reached innumerable people in many languages from her modest room in Dülmen through the writings of Clemens Brentano, are an outstanding proclamation of the gospel in service to salvation right up to the present day. Those are the writings that I have been quoting from on Christianity StackExchange. Hilary Jane Margaret White in her blog Anne Catherine Emmerich, sees these words by Bl. Anne Catherine Emmerich, "I saw also the relationship between two popes ... ," as fulfilled in our time. I believe the foregoing is sufficient, or at least a start, and hopes that the users who read this answer will conduct their own additional investigation into Bl. Anne Catherine Emmerich and her visions. What is the biblical basis for modern-day prophets? What is the Roman Catholic position on literally reading the Flood account in Genesis? Does God intend to replace the fallen angels with humans?